Conclusion: Is the Gallien Krueger Neo 410 a Good Option for You? Robert Gallien made his first amp in 1968 and his company is still going strong. Lauded for being one of the most creative and innovative companies in the world, Gallien Krueger is known for producing incredibly powerful music equipment. Their bass guitar cabinets show incredible attention to detail and offer musicians all of the power and control that they want over their music, which is one of the reasons why they are so popular. Thanks to the decades of experience that Gallien Krueger has, musicians can always rest easy that they will get the best products on the market when they shop with this company. What Is the Gallien Krueger Neo 410? Gallien Krueger produced a series of bass guitar cabinets known as the Neo Series. These enclosures rely on special bracing to prevent any standing waves while still offering complete, solid structural support. This additional support is designed to reduce any unwanted cabinet response and does a wonderful job decreasing sound and distortion. All of the models in the Neo Series offer tuned ports, a passive crossover complete with an attenuator for best operation, quality compression tweeter, flip-up handles, and more. The second to largest in this series, the Neo 410 offers incredible power and control so that musicians can easily enjoy the sound quality that they desire from their instruments without a lot of hassle. The Gallien Krueger Neo 410 is designed for use on the road and in the studio. Unlike some other similar bass guitar cabinets that are simply backbreaking to move, the small size and lower weight of the Neo 410 ensure that it can be easily moved from gig to gig. It’s definitely a higher price than some other models on the market but the quality sound that it produces makes the higher price tag worth it for many musicians. 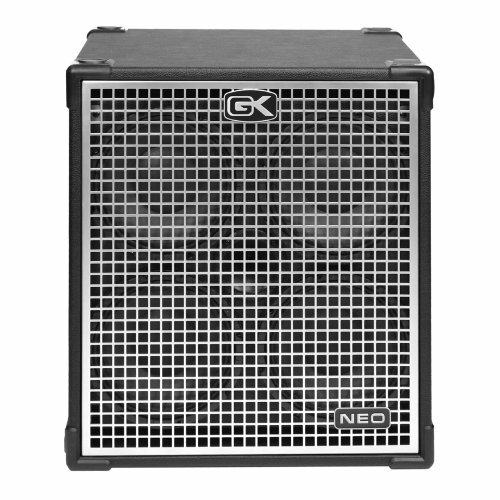 While it can be used in the studio and for practice, the Gallien Krueger Neo 410 is best suited for live performances. Since its release in 2009, it has been a great option for musicians who need a durable and reliable piece of equipment to take with them on the road. Since it easily stacks, bassists can combine it with other equipment to get all of the power that they need and want. This powerful bass guitar cabinet ships with a SpeakOn cable but nothing else. Musicians need to have their instruments on hand in order to get the best use out of this equipment. However, since the chassis is so durable and designed for life on the road, musicians won’t have to worry about buying a protective cover for the Neo 410. The two-inch copper voice coils on both sides of the bobbin are designed to improve power handling. Thanks to the plywood construction, the Neo 410 is designed to be as lightweight as it is powerful. The plywood is incredibly rugged, making this cabinet ready to take on the road. Additionally, there are tuned ports that offer optimum performance and that are matched specifically to each cabinet’s speaker for best sound quality. The internal bracing of the Neo 410 isn’t just designed to offer support and to keep the cabinet in great shape. This bracing was actually designed to prevent sound from leaking through the walls. Because of this, there is very little coloration or distortion when using the Gallien Krueger Neo 410. The Neo 410 is finished in an attractive, durable black Tolex that helps to prevent damage when on the road. It comes with casters that can easily be removed for a more permanent setup, such as at a church. Musicians who don’t need the full power of the Gallien Krueger Neo 410 may want to consider the Gallien Krueger 303-0810-A. This is an ultralight bass guitar combo amp that features 25 watts of power and is great for smaller venues. While not as powerful as the Neo 410, it still offers an impressive sound and control. Another great alternative is the Gallien Krueger Neo 412. With 1200 watts of power, this highly impressive piece of equipment is designed to blow listeners away and give bassists the sound quality they demand from their bass guitars. It features the same great horn tweeter as the Neo 410 as well as a horn bi-amp and impressive passive crossover. Thanks to its impressive combination of lower weight, great sound handling, and incredible articulation, the Gallien Krueger Neo 410 is a wonderful option for any bassist who is looking to instantly update his or her sound quality without overpaying or purchasing a cabinet that is simply too big and bulky to easily move. No matter the skill level of the bassist using the Gallien Krueger Neo 410, he or she is sure to enjoy incredible sound quality and control. There are a few features that may make this a better option for more advanced musicians, including the higher price. 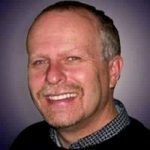 Additionally, since the cabinet can be run full-range or bi-amped, bassists need to know what changes and adjustments they must make in order to enjoy the best sound quality. Newer musicians may not feel confident making these adjustments. However, once the Gallien Krueger Neo 410 is set up and matched to a player’s tone and style, it’s a great option for use on the road or in a single location, such as for a praise band. If there is money in the budget for a powerful cabinet that offers a tight low end with impressive power handling, then the Gallien Krueger Neo 410 is a wonderful option to consider.